Alfred’s carries today’s leading brands to outfit your team. We offer In-Store and on location sizing guarantying the correct fit for every player. From hat to cleat we do it all! Alfred’s retail level is packed wall to wall with the best equipment for today’s top sports. Be confident knowing you’ll be guided by our knowledgeable staff. Ball, bats, sticks, goals, gloves, cleats and so much more! If it’s not in the store we’ll special order it. Alfred’s leads the way with expert sizing, allowing you to design your jacket with the personal fit you want. Bring us your letter and we’ll guide you efficiently through the process from fit to finish! Alfred’s is your one stop shop for all things custom. Tee’s, sweatshirts, jackets, hats, bags, you name it. Screen-printing, embroidery and in house personalization, our experienced team will guide you from start to finish. We provide top product along with competitive pricing. Great customer service I thought I was going to be given a hard time about some mouth guards which I did not like for my kids but they handled my problem and gave me what I was looking for. I will continue to make the trip there for skate sharpening and use Alfred's as often as I can for my sporting goods needs and services. Stopped into Alfred's to buy my Dad a golf polo for his birthday. While the selection is limited, the owner was very friendly and helpful.For sports basic, this is a nice neighborhood spot with personalized customer service. I have ordered screen printed shirts three different times from "the girls downstairs" at Alfreds Sport Shop. The first time, when they did the screen printing in house, everything came out great. Good home town shop, typically has what you need. Over 50 years and one of the oldest privately owned sports goods shop in New Jersey. Supplying hard goods and apparels. 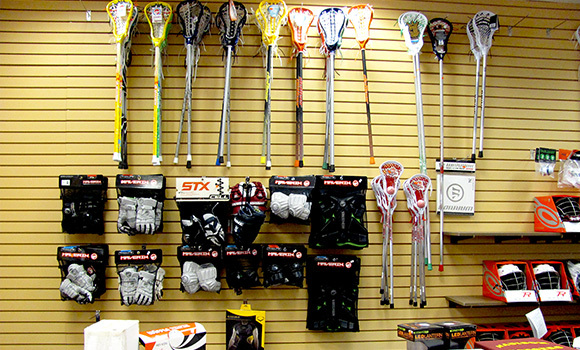 Alfred's Sport Shop is a family-owned and operated, located in the heart of down town Madison, New Jersey.